Clover Leaf Chipotle Chunk Light Tuna. Seven layer dip is always fun at parties and I thought that I would try kicking it up a bit with the addition of a pantry staple, tuna, but not just any tuna, some chipotle tuna by Clover Leaf. 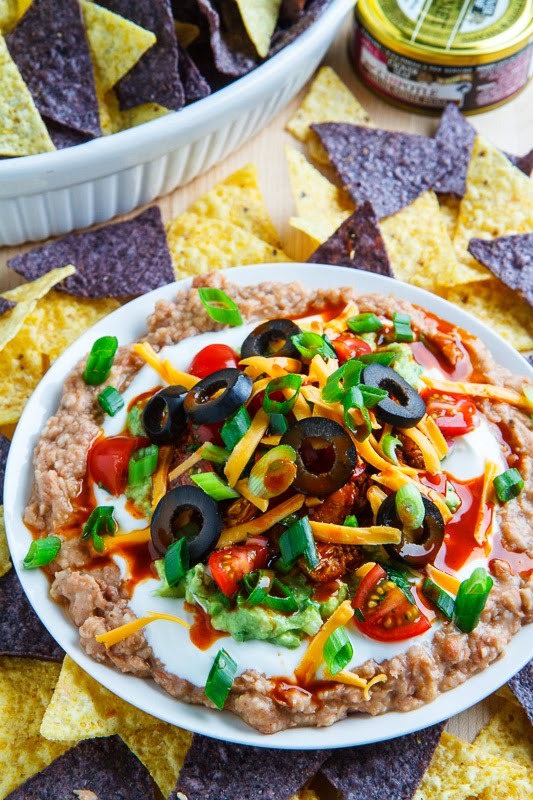 A seven layer dip is a dip where Mexican style ingredients are layered on top of each other and for this dip I went with layers of seasoned beans, sour cream, guacamole, chipotle tuna, salsa, cheese and olives along with green onions for garnish. 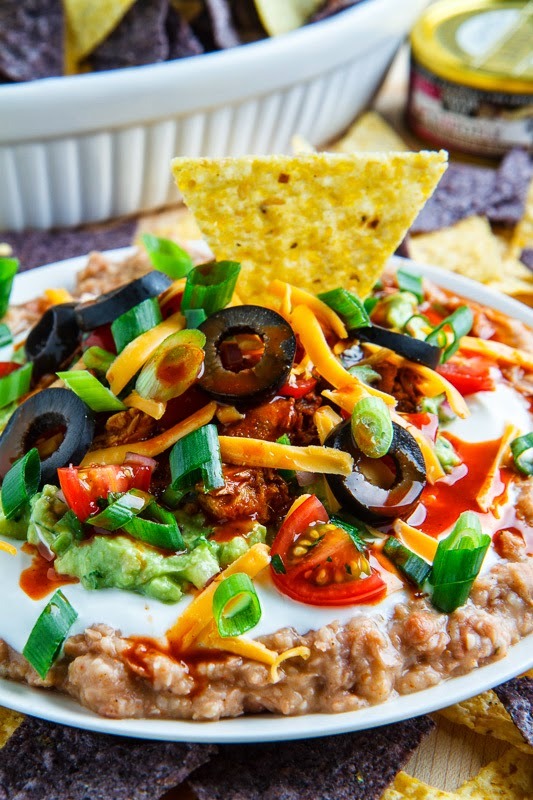 If you have all of the ingredients on hand this dip could not be easier to make where you simply need to pull the ingredients out and start layering them. You could easily use all store bought ingredients and make this dip a snap to assemble or you could make all of the ingredients yourself and keep the dip nice and light and healthy. In the recipe below I have given options to keep things simple and to keep things light and healthier with some examples being either using store bought refried beans versus using a can of beans with homemade taco seasoning mixed in or using store bought salsa versus making your own fresh pico de gallo. No matter how you make it, this is one tasty dip that is sure to please and the chipotle tuna is a great addition to a seven layer dip! Assembling the dip is quick and easy! Add some extra chipotle hot sauce if you like it spicy! Dig deep and try to get some of every layer in each scoop! A quick, easy and light seven layer dip featuring Clover Leaf Chipotle Chunk Light Tuna. 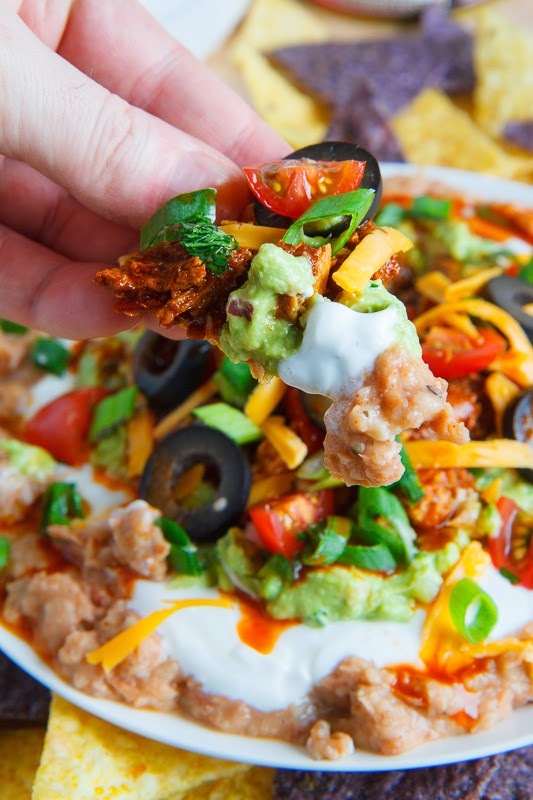 Mix the water and taco seasoning into the beans, spread them out on a plate or in a bowl, followed by the sour cream, guacamole, tuna, salsa, cheese, olives, green onions and enjoy! Option: If you do not have access to Clover Leaf Chipotle Chunk Light Tuna, mix 1 or more chopped chipotle chilies in adobo into 1 can of drained tuna. This looks really good again, I love your recipes! This dips looks awesome! It would be perfect for any summer gathering! I can have this day in day out, seriously! Love it. The chipotle tuna sounds incredible! I've never thought to put tuna in a 7 layer dip but I'm very intrigued! I don't make dips very often because I will end up just eating them all but I will for sure be keeping this in mind for the next time I need to bring a dish to a get together. Sharing this everywhere ~ great recipe Kevin! I love tuna and I love this twist on 7 Layer Dip! Genius! About to check out the Greek 7 Layer Dip now. I love, love, love tuna! Can't wait to try this at home…SOON! Thanks! I didn't know there was such a thing as chipotle tuna! Very creative. Cant wait to try it. What a fabulous flavor combo! 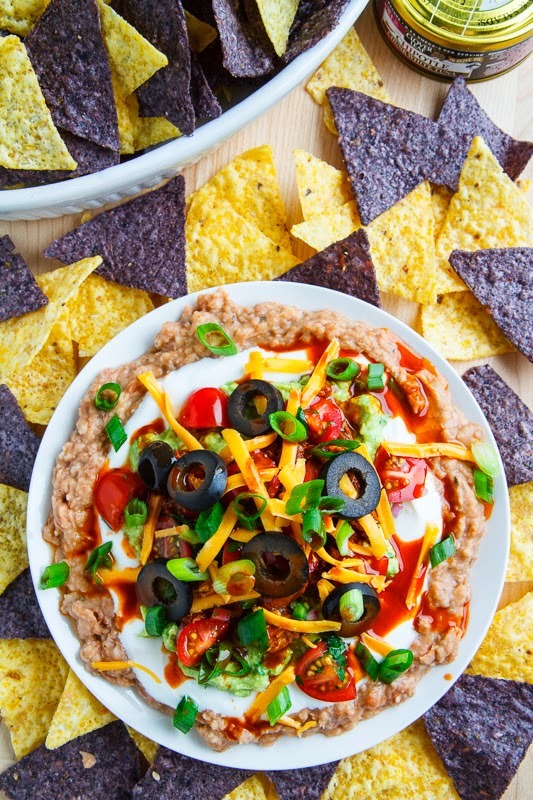 I love 7-layer dip; what a great way to mix it up! I'd never think to use tuna in this layered dip Kevin – brilliant! I love this kind of cured tuna and I am totally intrigued by the chipotle flavor- sounds great Kevin! I never even considered adding tuna to a mexican dip. I want. Picture looks great..as usual! Wow! This is the most delicious, elaborate and creative dip I've ever tasted. I never in a million years would've though about putting tuna in my 7 layer dip, but now I can't imagine it without it! yum! Your blog is very organized. I really like in this post, the 'gif like' thing in there… love the effect. How did you do that by the way? I also have a food blog page and would like to apply that in there. I hope that's ok with you. Thanks.